The ZW pump is a horizontal, single stage, axially split case centrifugal pump designed and built acording to the Hydraulic Institute (HI) standard (BB1 type). 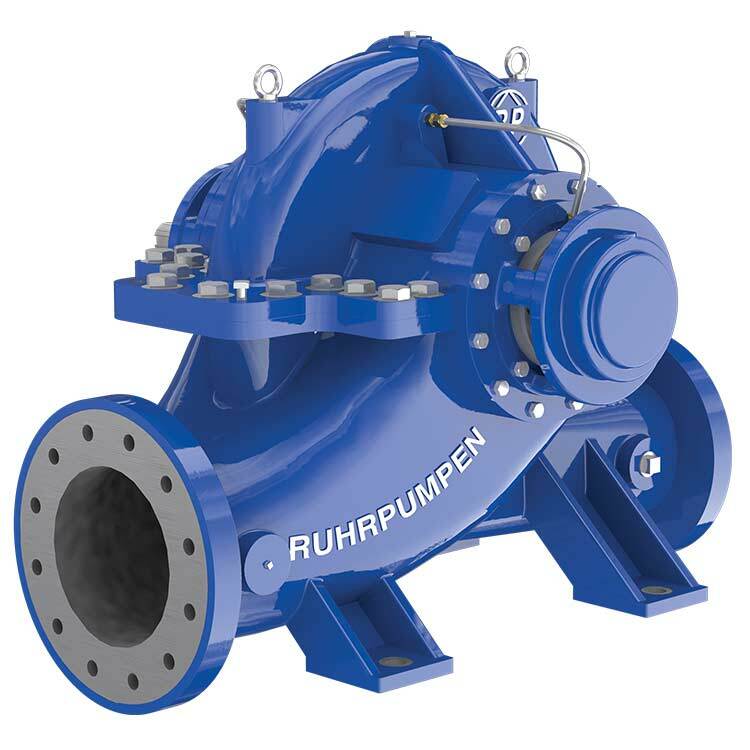 It is part of the HS/ZW range of split case pumps by Ruhrpumpen which includes the: HSC, HSD, HSL, HSR, and HSM models. Horizontal, between bearings, single stage, axially split centrifugal pump. Its innovative design allows a more compact installation and ensures perfect alignment. The ZW is NSF ANSI 61/372 compliant and adheres to the latest lead-free requirements of the U.S. Safe Drinking Water Act.